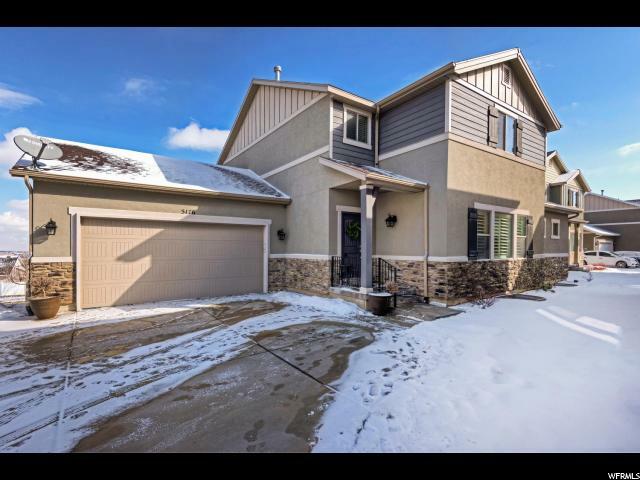 All ROSECREST VILLAGE homes currently listed for sale in Herriman as of 04/19/2019 are shown below. You can change the search criteria at any time by pressing the 'Change Search' button below. "Astounding mountain and valley views from this lovely Herriman home! This 6-bedroom, 4-bathroom home features updates galore! Perfect for any family that loves a rural-feeling community with close proximity to the big city. The main floor master is a huge plus in this 2-story family home. Large and luxurious with a bath, the master features a massive walk-in closet. The basement is 100 percent complete. We just can't wait for you to see the fun, creative built-in bunkbeds downstairs where you will also find a grand family room to entertain friends and family. Maybe we're getting ahead of ourselves? Listen, the living room on the main floor is large and open with plenty of natural light. The kitchen is a dream with light-colored cabinets, a spacious island and windows galore. Breath in spring's wonder with lunch on the Covered Trek Deck just outside the combined kitchen and dining room. Windows, windows and more windows invite the light into this neat-as-a-pin home. Enjoy tall ceilings, a private office or reading nook at the top of the stairs and more spacious bedrooms. The OVERSIZED 2-car garage is the perfect place to store toys, tools and automobiles. The Rosecrest Village clubhouse will keep you entertained year round. You will be proud to bring guests into this community amenity complete with a swimming pool! There is so much here to see. Call us today for your private tour."